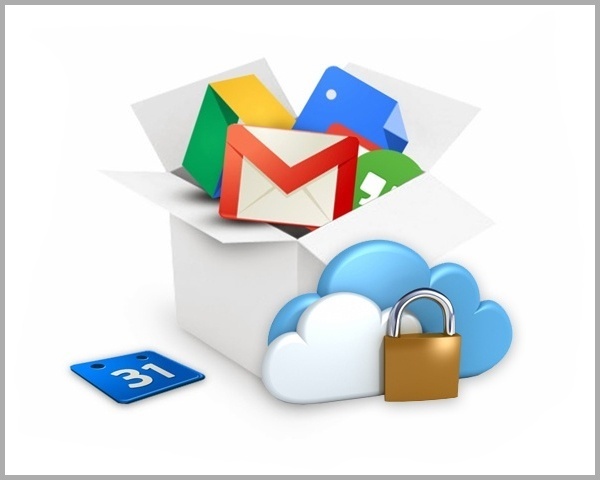 Since its inception, Google has pioneered and pushed the limits of innovation. 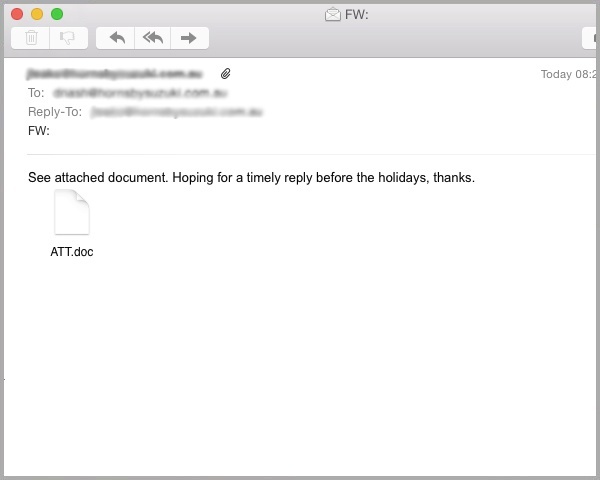 Their approach to an enterprise-grade cloud email service, Google Apps for Work, has lead the way. 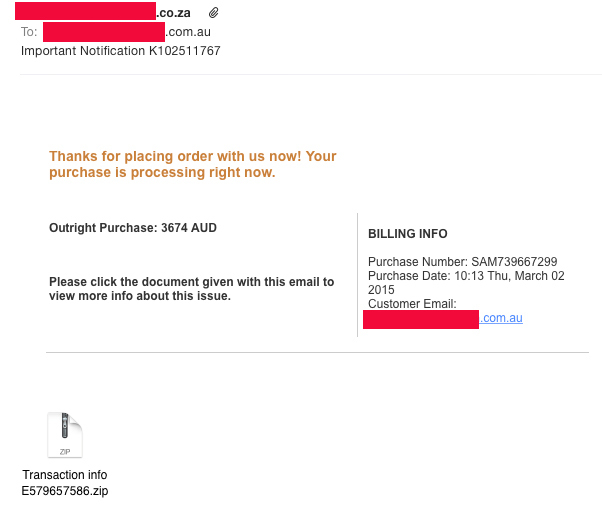 MailGuard have successfully identified and blocked another email crypto run by cyber criminals based in Russia. 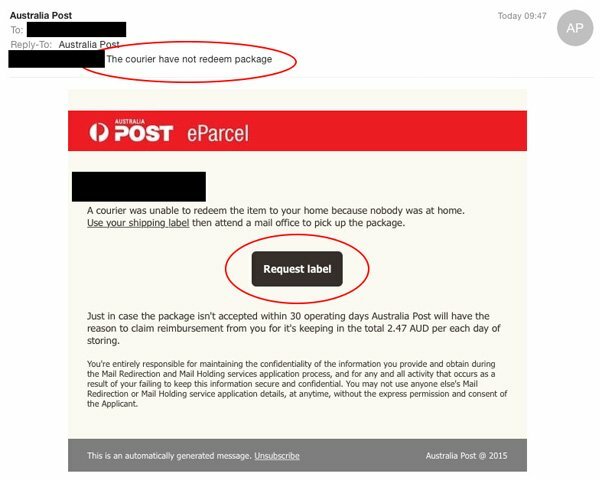 These offenders are impersonating Australia Post and directing attacks at Australians alerting the email recipient of a supposed parcel that was delivered to their residence. 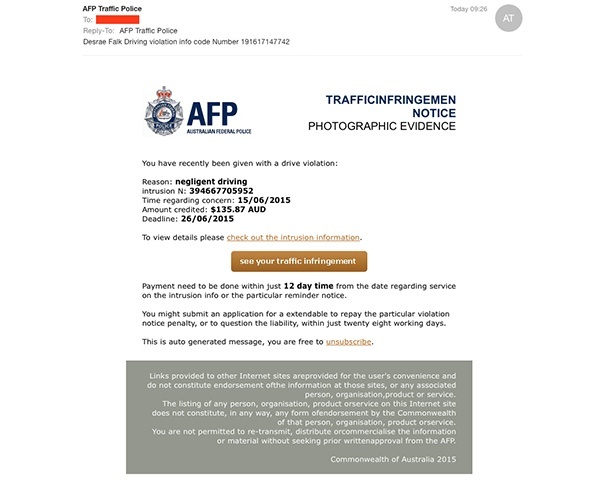 Warning: International cyber criminals are targeting Australians again by recycling their fake ‘Australian Federal Police (AFP) infringement scam’ campaign. 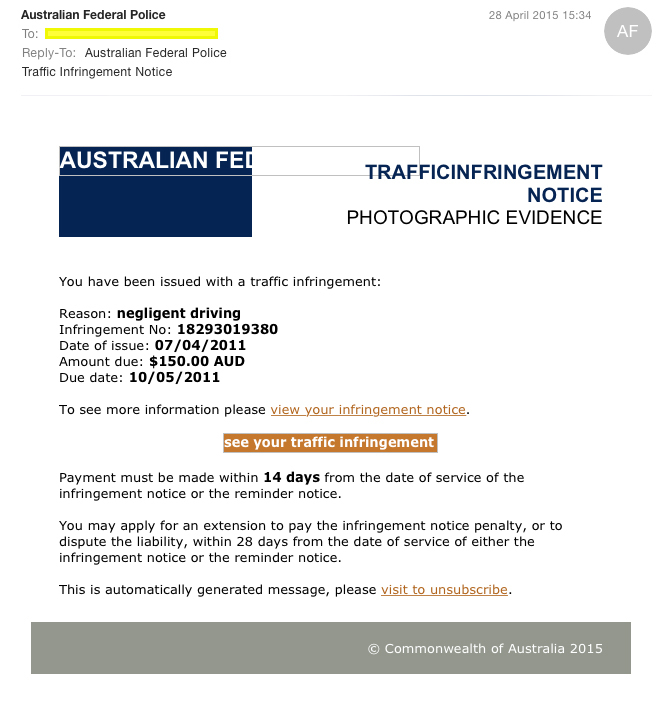 It is the responsibility of the Australian Federal Police (AFP) to protect us from crime. 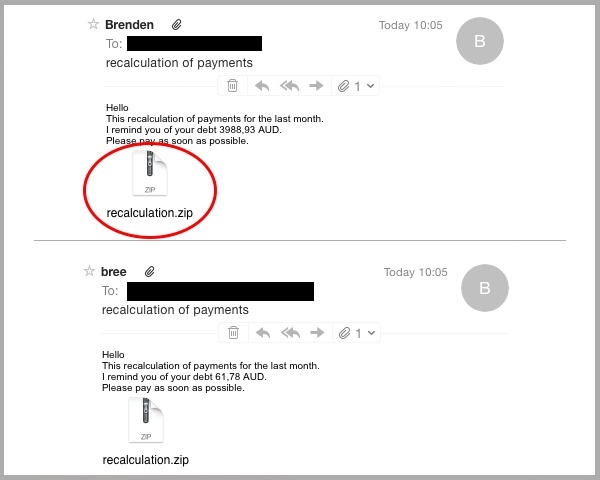 How ironic that in the latest fastbreak Cryptolocker email scam, cyber criminals have adopted the identity of the AFP and are using it to trick unsuspecting recipients into paying them money.